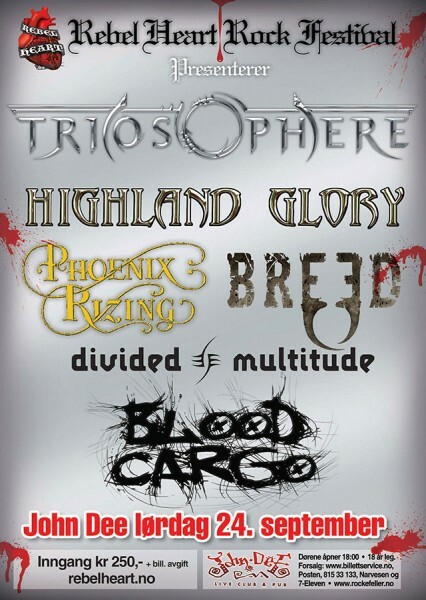 Triosphere has been confirmed for Trondheim Metal Fest, which takes place in March. As this festival coincides with the release of the new Triosphere album, it will be the perfect chance to give all the new songs their live debut! Trondheim Metal Fest in Norway is celebrating their 5th. year anniversary in 2014, and moving the festival to the biggest conference hotel in Norway, Clarion Hotel & Congress Trondheim! 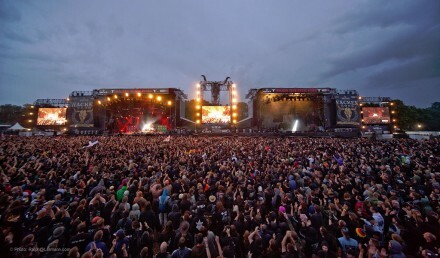 Experience great bands in one of Norway´s finest concert venue, have a beer at the Skybar with a panorama view over the city while listening to Mambo Kurt play, or headbang to Slayer in the elevators, it´s your choice! The dates are 6.-8th. March 2014 and both festival passes and limited Hotel & VIP packages are still available. All this takes place in the old Viking capital of the world, Nidaros (Trondheim), Norway. Welcome! 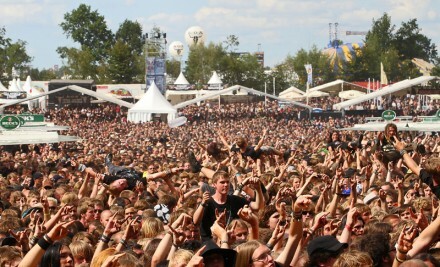 Rebel Heart Rock Festival proudly present some of the finest bands of today`s metal scene in Norway. Some bright new hopes and some more established acts. This is bound to be the norwegian melodic metal highlight of the year, and an event no metalhead can afford to miss! Bands announced so far are TRIOSPHERE, BREED, PHOENIX RIZING and HIGHLAND GLORY! Triosphere has been confirmed for the Jorddunst 2009 festival on Frøya, playing on Thursday July 16th. The festival is located on the coast of middle Norway in beautiful surroundings, transportation and camping is well covered, more info on their website. Some of the other bands playing on the festivals are JORN, Skambankt, Katzenjammer, Tommy Tokyo, Iskald, Fatboy and Masshysteri. May 22, 2009 / Comments Off on Live in Trondheim tonight! Triosphere has been honored to perform the opening of the Trondheim Rock 2009 show on May 22nd! The female-fronted metal machinery will kick-off the evening at 18:00 – and the whole band is ready and fully eager to show some hair and massive energy onstage in their hometown again. The headliners on this special Friday are none other than Dimmu Borgir – and their special guests are Kamelot themselves! 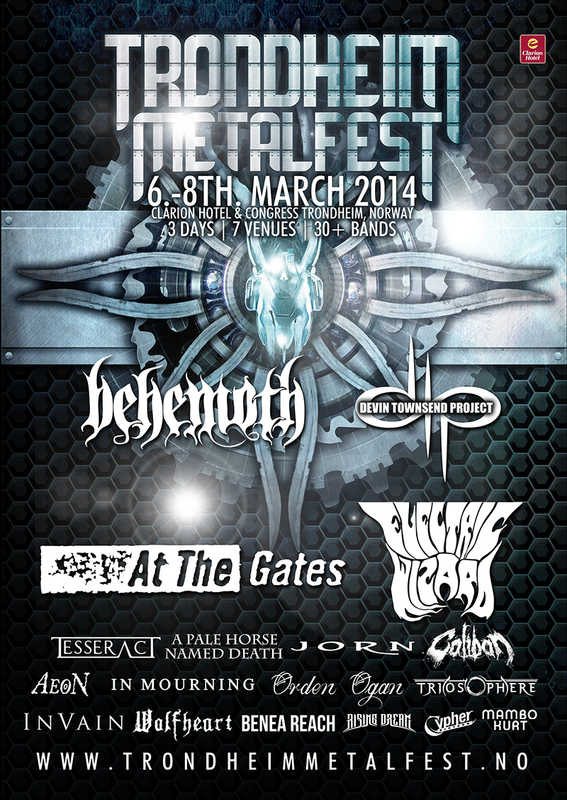 In other words a real treat for all those in favour of metal – get your tickets now!! !